The Golden Era for August 12, 1860 included "A Child's Ghost Story," a short tale by Bret Harte. The tale features a peculiar boy whose learned yet foolish ("as very learned people sometimes are") parents name "Poeta." An unusually small boy, but for his comically large head, Poeta has a certain kinship with the world around him. As he walks through the garden with his little sister Gracie, the narrative voice asks who could better explain "what the birds said to each other, what the leaves of the big elms were always whispering, and the strange stories that the brook babbled to the stones as it ran away to the distant sea?" "There now, Etty, dear," she once said, "I don't believe there are any ghosts." "Isn't there," said Etty, in deep scorn. "No! Did you ever see any, Etty?" Her brother admits he hasn't and Gracie promises if she dies, she will try to come back as a ghost to prove it one way or another. Sure enough, she suddenly becomes sick and dies. Lost in thought, Etty feels a hand on his forehead, and knows it is his sister's; when he turns, he sees her ghost standing next to him. From then on, when Etty had trouble, he would call upon his sister for comfort. 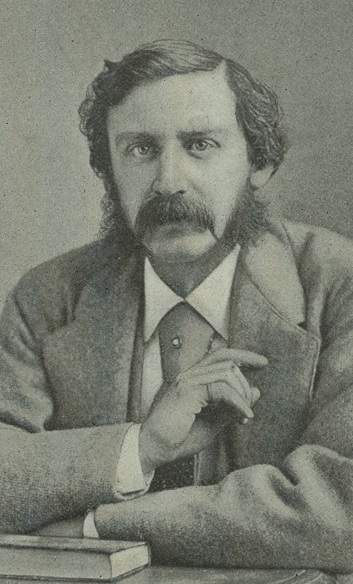 The Golden Era published nearly 100 original pieces by Bret Harte within the span of 12 months, including both prose and poetry.